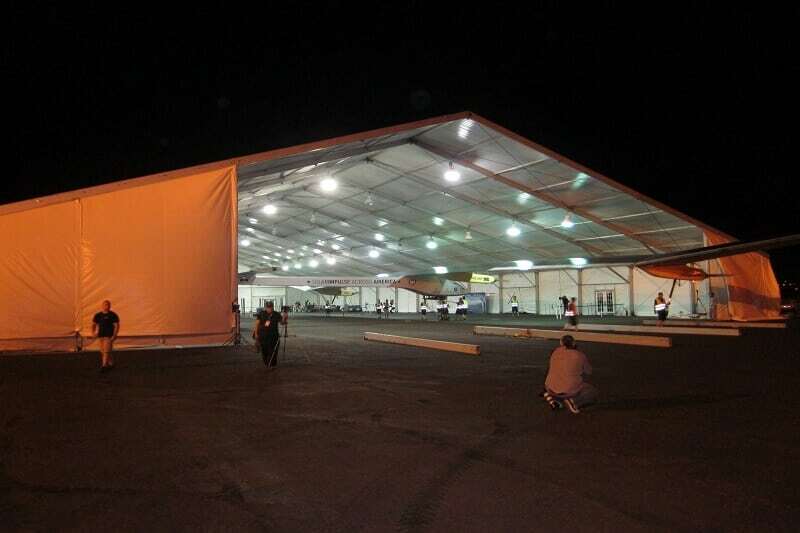 Regal installed a 30,000 square foot Clear Span Structure to be used as a portable airplane hangar in five different cities over a two month period, housing a solar airplane on its cross-country tour. Following this plane across the country was a one-of-a-kind opportunity that we were thrilled to be a part of! Logistically this was one of Regal’s toughest challenges as we had to coordinate five installs and five removals and transportation of parts to five different airports while the schedule constantly had to be adjusted due to changes in the weather that affected the flight of the solar plane. 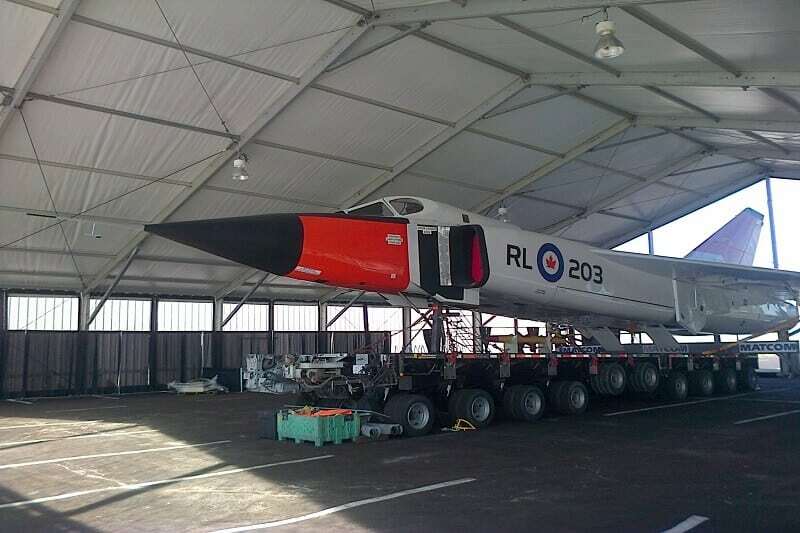 Déjà vu struck when we were called by yet another company looking to house an airplane as well as 500 guests for an event celebrating the Avro Arrow Plane. 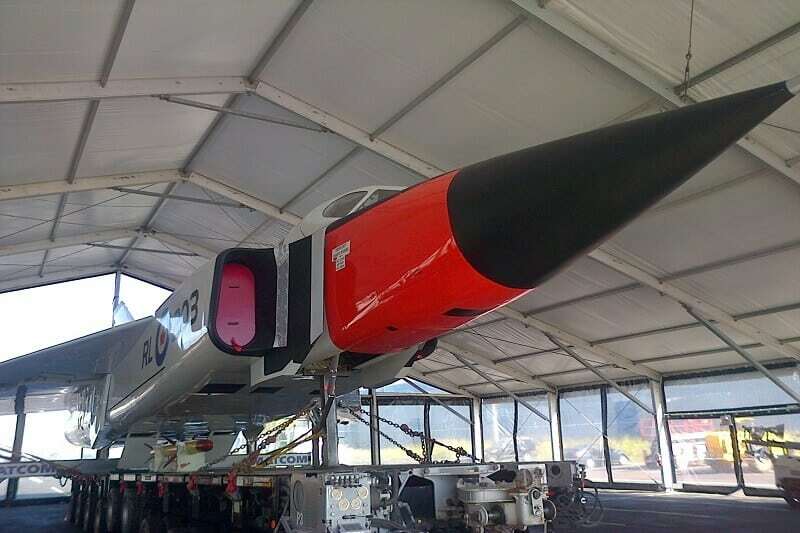 The SME Canadian Manufacturing Technology Show (CMTS) at the International Centre in Mississauga, Ontario sought to celebrate a piece of Canada’s history by showcasing the Avro Arrow in its own special venue, a 30m x 30m Clear Span Structure with clear roofs and wall panels. The real challenges for this event were logistical. Timing was crucial as roads had to be closed, police escorts recruited, routes strategically planned out and some of the plane also had to be disassembled and then reassembled once it was moved safely into the tent.